Thanks to NetGalley and Simon and Schuster for the ARC of this book. 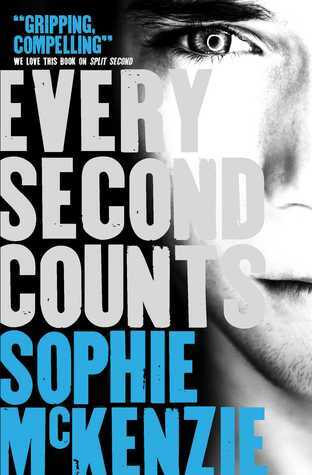 This book is a new addition to the ever increasing YA sub-genre ‘militarised teenagers save the world’. 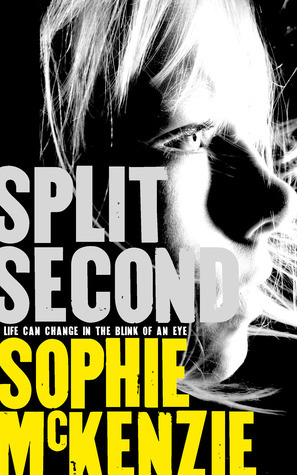 It is the sequel to ‘Split Second‘ and picks up protagonists Nat and Charlie on the run and joining up with a resistance movement in order to try to expose evil politician Roman Riley, before he wins the upcoming general election. It’s very similar to the first in the series, in that it is told in the first person with short chapters alternating between Nat and Charlie’s point of view. As with the first book, I found this device made the plot fast-paced and it was an easy read. I think fans of Sophie McKenzie would definitely enjoy this book as would fans of Malorie Blackman, Simon Mayo and Robert Muchamore. I really enjoyed sections of the book where Nat and Charlie use the skills they gained as part of their EFA training against members of the EFA. Although I also get frustrated by the frequency with which Nat and Charlie naively trust people that they shouldn’t and fall into traps. They do not seem to have learned enough from their experiences in the first book. For example, Nat’s sister Jas is kidnapped and he doesn’t even stop for 2 seconds to think about why the kidnappers would hold her in a safe house which he knows about. He just blunders in and, of course, gets caught. I was really pleased that this book offered a satisfying conclusion to the series. I would have been annoyed if it had ended with uncertainty and I had to wait for another book in the series to watch the baddies get their comeuppance. However, I felt that this book had the same flaws as the first book. Most importantly that the romance element is not strong enough. I was hoping to watch Nat and Charlie’s relationship blossom through this book, however early on in the book they are split up (geographically) to follow two different plot-lines and we don’t get scenes with them together again until the last quarter of the book. So the romance definitely takes a back-seat and isn’t very effective. A couple of elements of the language also irritated me. There is repeated use of “and I” where “and me” should be used. For example “Uchi hurried Spider and I through the kitchen”. I hope this is just something that has been missed in the editing and will be corrected in the final version of the book. Also, Charlie repeatedly refers to her “birth father”, you can’t have a birth father, your mother gives birth to you. The terms are “birth mother” and “biological father”. These are small nit-picky things but I find they jar you out of the flow of the story. Overall this is an enjoyable, satisfying conclusion to the series, which is very easy to read and which fans of YA fiction, who like to read about teenagers taking on the malevolent forces of authority, will enjoy it.